Shopping for her can be stressful. 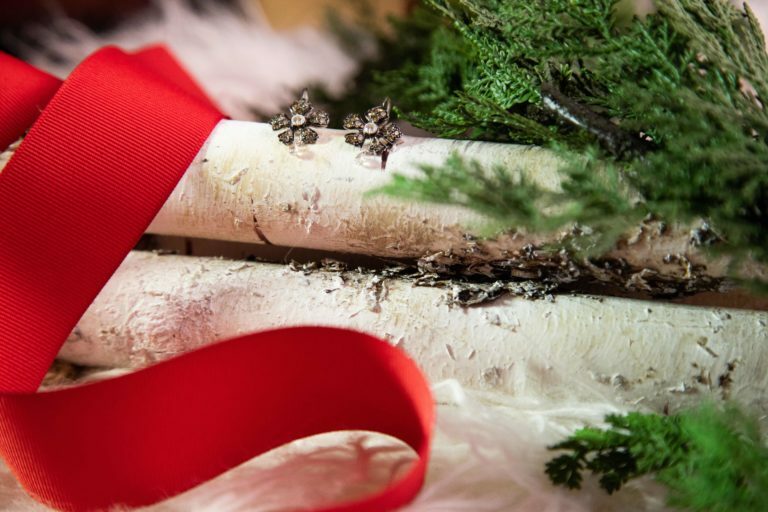 Any gift needs to be perfect – stylish, thoughtful and at just the right price point. 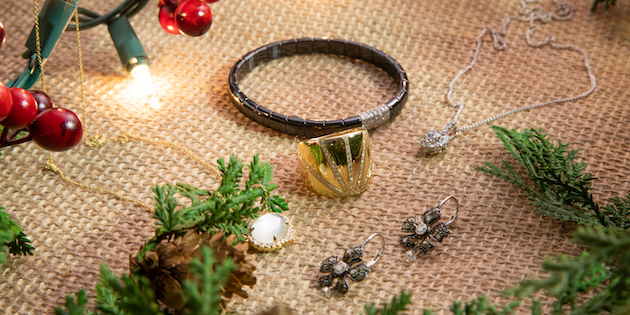 We’re here to make it easy for you this holiday season, because if we know one thing, we know that she’s going to love a piece of jewelry. Earrings or bracelet? Yellow or white gold? Chimento or Alor? We have four stress-free recommendations from our experts that the woman in your life will love. This black Roberto Demeglio bangle has an 18-carat white gold diamond pave link that will match perfectly with those white gold studs she just can’t seem to leave home without. 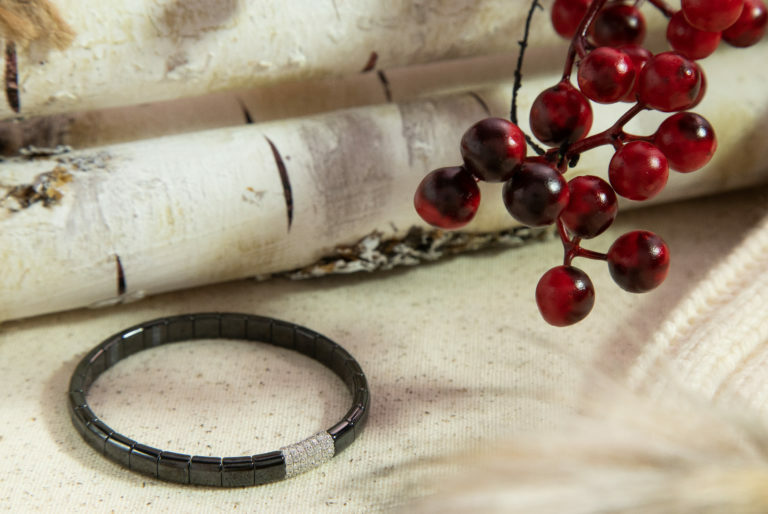 Flexible and durable, this bracelet will quickly become a wardrobe staple, as it goes well with absolutely everything. And if she’s not into black, it also comes in white! Sethi Couture brings a little California flair to East Coast elegance in these 18-carat, black rhodium, white gold flower earrings. The shimmering, enchanted garden green diamonds provide a slight nod to the Holiday Season and are appropriate all year long. 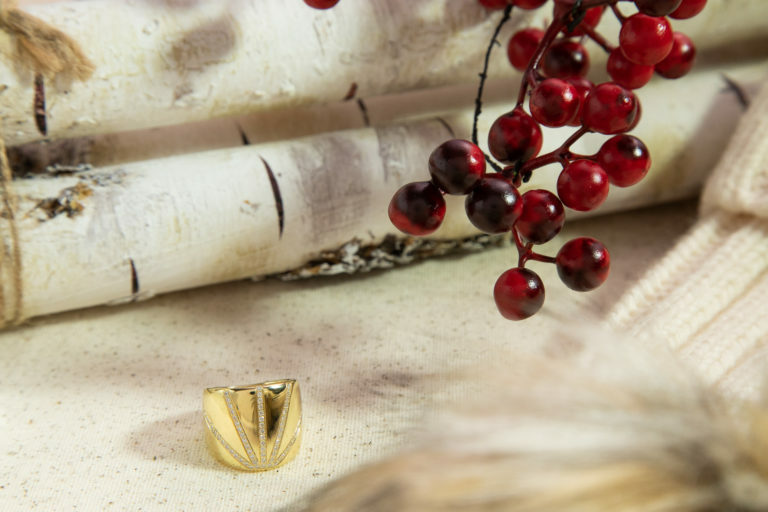 If your significant other is bold and elegant, this Garavelli ring was made to sit on her finger. The wide, 18-carat yellow gold band, complete with five rows of diamonds, exudes a stunning but everyday elegance she just can’t live without. Every woman needs a go-to pair of hoops in her jewelry box. 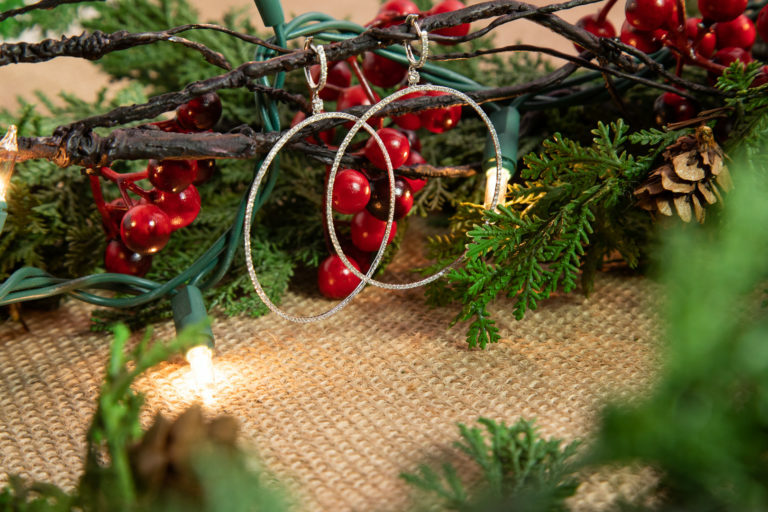 That’s why our experts picked out these brilliant, 18-carat white gold hoops from Doves. Their simple elegance paired with 265 individual diamonds make them the perfect pair of earrings for any special occasion. If none of these ideas resonate with you, browse our website for more suggestions! And remember, whatever you end up buying it’s the thought that counts!